The sausage is up for sale. My left forearm is forever tainted, it’s been 35hrs now and it’s still there. Normal showering doesn’t work. I’m going to shave the hairs off next and after that the arm may have to come off. Glad you’re liking them, with the exception of Alexandria, they are probably my oud-less favourites. Some of the musk's will last 400 to 600 hours on blotter, or 4 or 5 wash cycles. Strong as all get out that stuff. The Xerjoff's are a real treat, some very rare material there indeed. 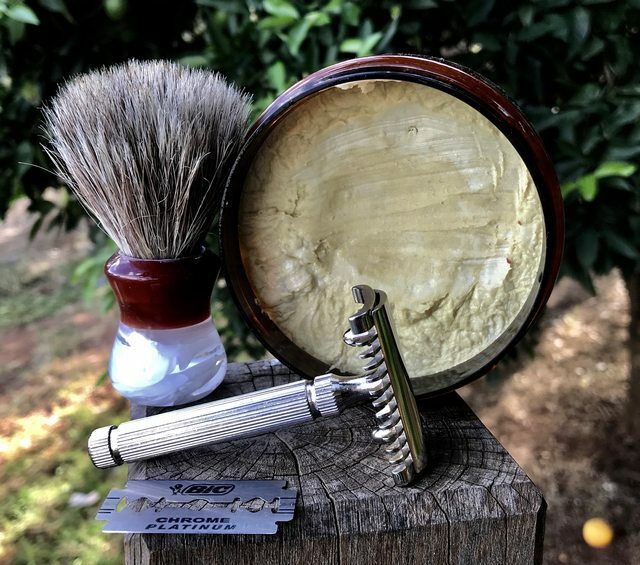 Very nice shave with the Piccolo but not as smooth as I hoped the BIC would be and too much clean up required to get to BBS. I think I'll try a Nacet in this razor next. No:35 performed well producing a very rich creamy lather. I'm looking forward to trying this with a straight tomorrow. so for the final razor from the box i chose to use the mergress for the last couple of days.this is how an adjustable should be for the most part. its a solid feeling razor in the hand and shaves very nicely very close and efficient and with just enough blade feel to keep you on your toes. infact i never went above the 4 setting and settling on about 3 and a bit. the only down side is it does feel a bit unbalanced being tail heavy and my biggest quibble being the handle.its slippery and getting a consistent grip is difficult because it slides around so much. im guessing the progress base razor with the plastic knob while looking tacky would balance better. Travelling through JPN for the next week, spring has sprung the Sakura are at the tail end of their blossom, so thought Florian would do the trick. 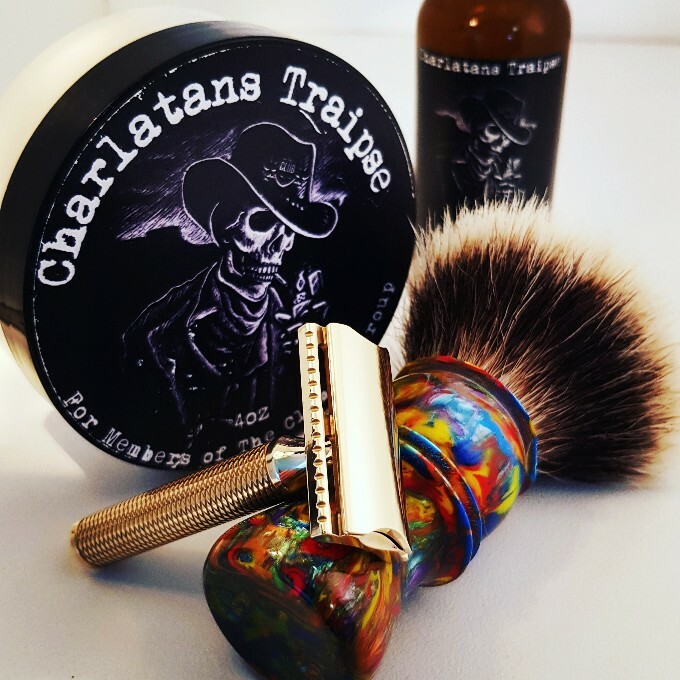 Great shave this morning. 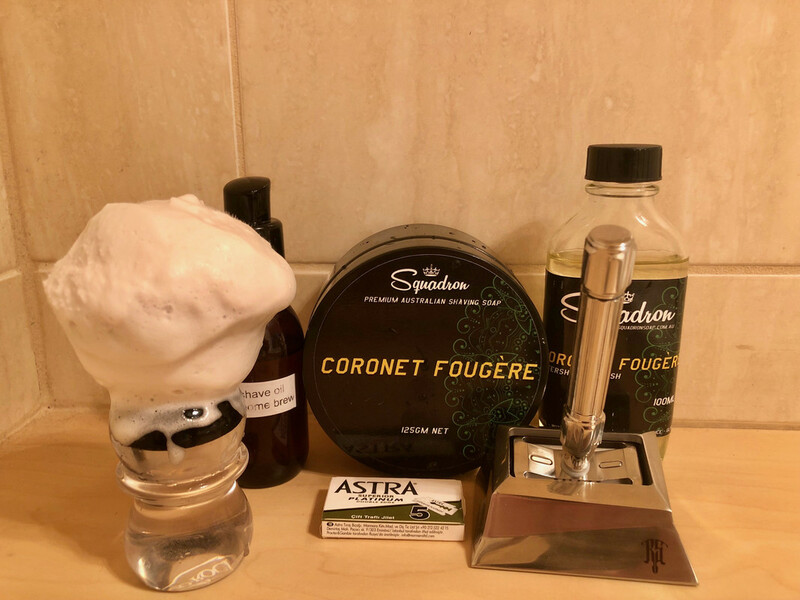 The SV soaps really rock! My favorite brand of shaving soap (along with MWF). All their scents are wonderful and so easy to work with. The Yaqi mysterious space handle is my favorite for the space design and ergonomics. I have 5 of them with different knots. This is my new bulb silvertip, I have the same but with a fan silvertip. My last 2 shaves with the Velours Noir = very nice... Definetly a more harsh shave today but still managed a DFS. 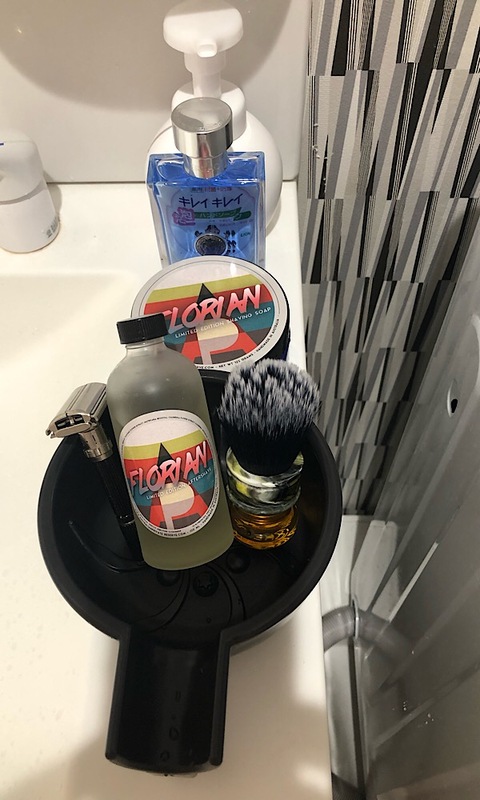 Big thumbs up for the balm Happy shaves! Hi All! Its was 2016 since my last post, just checked..... Still over here in Kazakhstan! 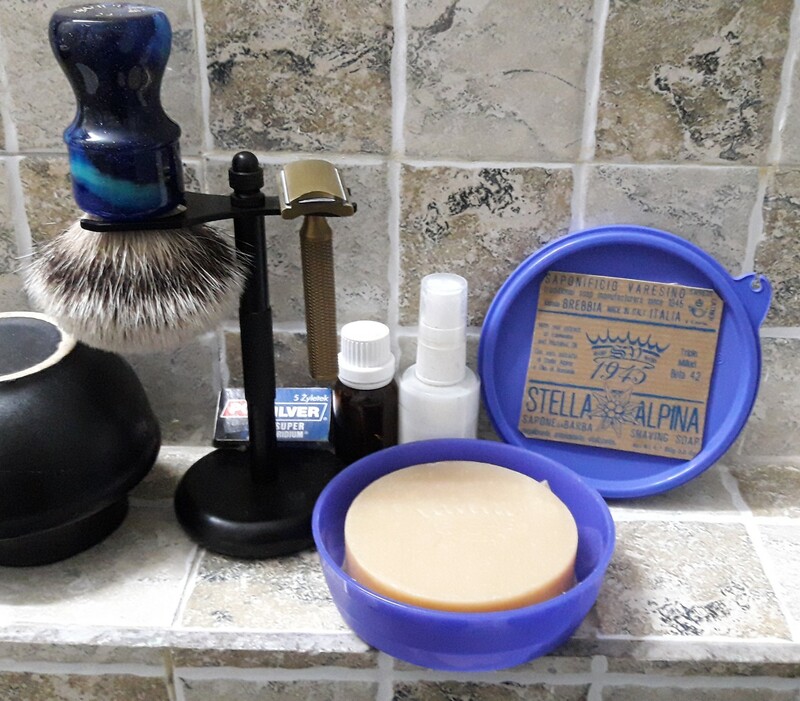 Still in general running the minimal shave setup. Wow, my Cella separated this last month! I think I froze it then heated it up to much... the strangest thing. Also when travelling I use my mach 3 as its areophane friendly. Recently I broke the handle tho…... And as its Gillet I am not keen to get another handle..... Toxic Gillet Adverts reason. Welcome back. Always great to see an AWOL member pop right back in there. Couple of things how or why are you freezing your Cella soap? Also can you enlighten us on the 'milk churn'? Is this a skin food or pre-owned shave benefit? As for Gillette Toxic Ad culture. I'm not a fan of the adverts and how they delivered them. But the message is clear to me and agree we need to question each other on how we treat others. Hi @Ybbor , have you seen the Leaf razor? Would that be viable alternative to the Mach 3? There’s a thread kicking round the forum at the moment discussing it and a couple of fellas have given positive feedback about it. Or because the blades are removable that precludes it as air travel option?